The kitchen is the heart of the home. It’s the place where we all meet and spend a lot of time. Unfortunately, that also means that it’s the place where it gets messy. Thus, keeping everything organized can become a challenge. Want to save yourself from headaches when cooking and trying to find the right products? Then, you probably want to keep your kitchen cabinets as organized as possible. Today I’m sharing 20 hacks that will help you do just that. 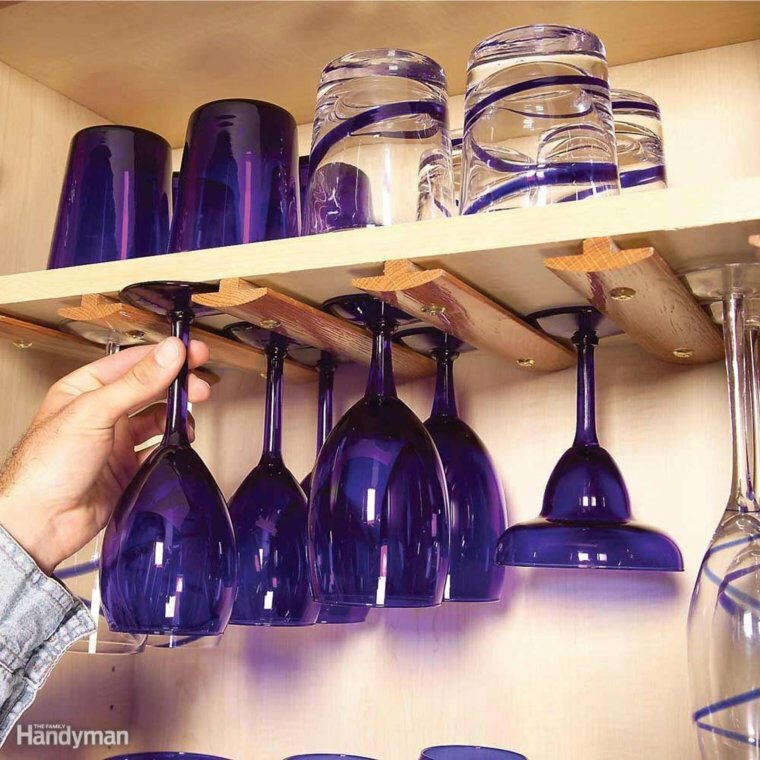 You can use the t-molding in your cupboards to store all the stemware. You’ve probably seen that done in bars and restaurants. The good thing about hanging your wine and champagne glasses this way is that they don’t get dusty. Also, you don’t have to dry them before storing them in your cupboard. 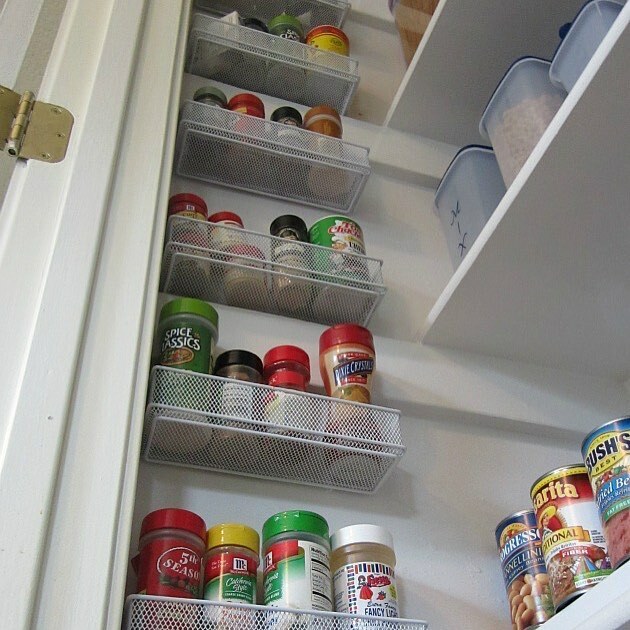 On top of all that, it offers a great way to store more items in your cabinets because you can use the vertical space. If you love cooking like me, you’re probably going to love this idea. 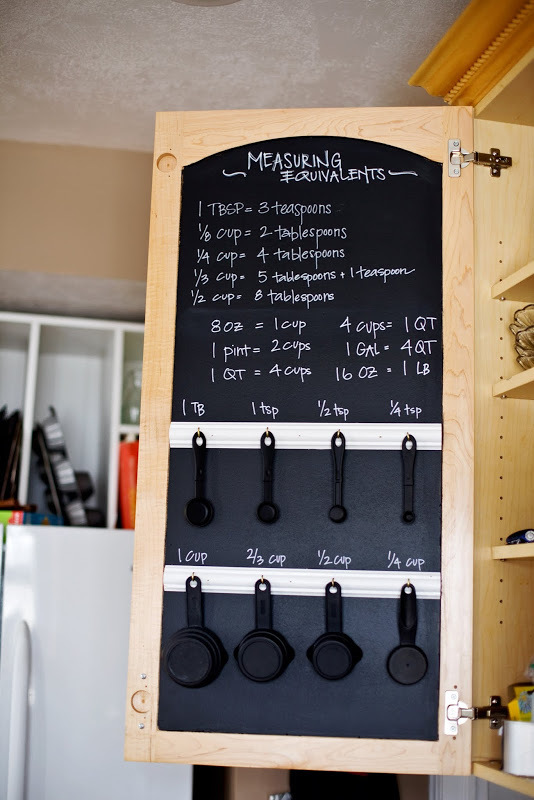 Make your own chalkboard with measurements. All you have to do is take off the cabinet door, paint with chalkboard paint, dry it and put it back on. 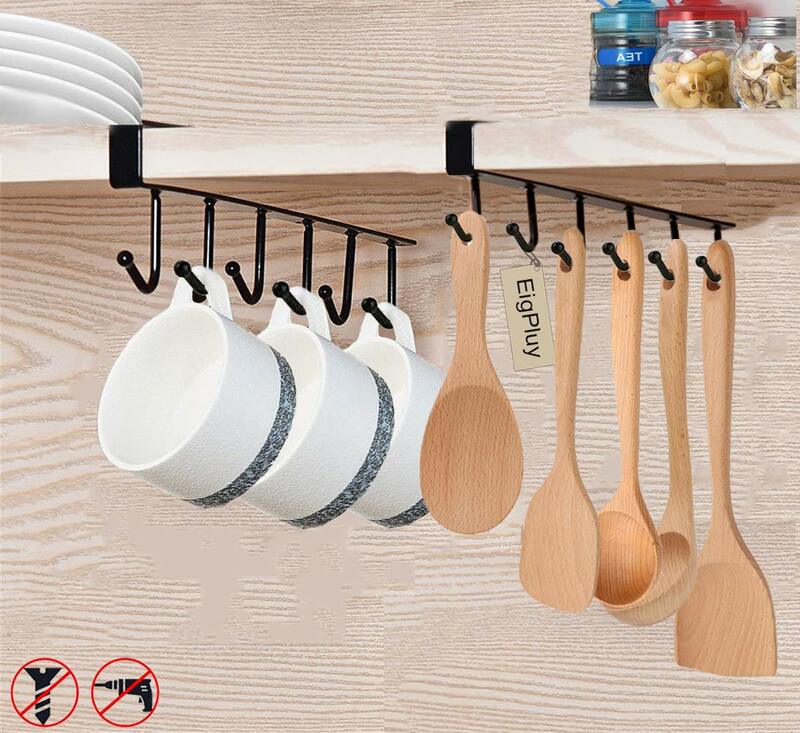 Feel free to attach a few wooden strips to hang measuring cups and spoons. Here is a nice set of these. Finally, you’ll need a few liquid chalk pens to write down the measurements. Overall, a great idea if you regularly cook. Especially if you are a fan of confectionery cooking where being precise with your measurements is very important. I love storing everything in glass jars because you have the ability to see what’s inside. So, go ahead, buy a set of these and start storing all the dry products in them. 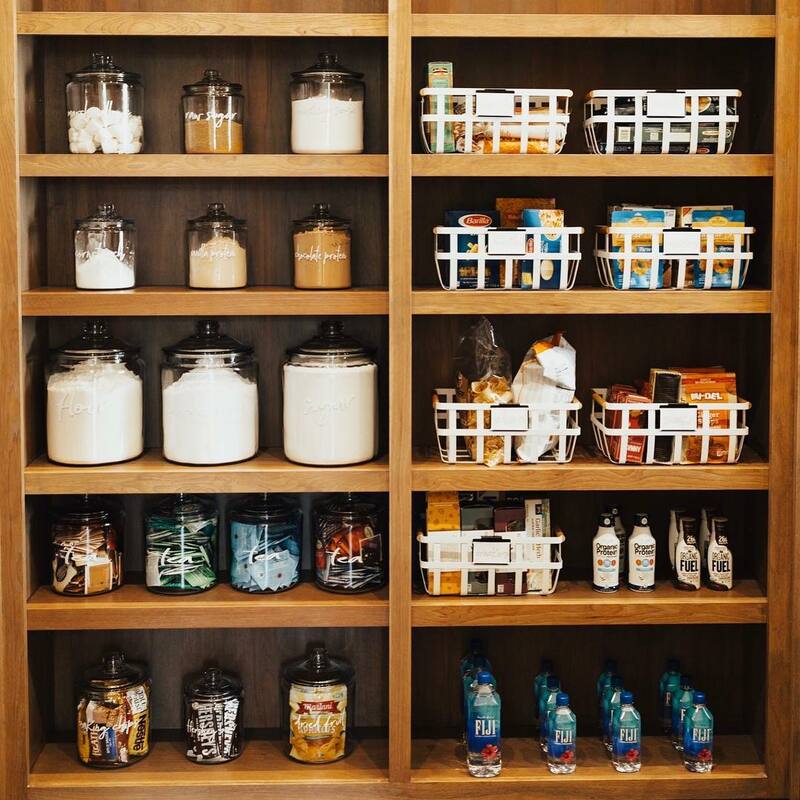 Another good thing about these jars is that they’re easy to organize and look stylish in any kitchen. Make sure the ones you buy are sturdy and seal well. These are the ones I recommend. They’re extra sturdy and come in all shapes and sizes. Have you lost hope of having all the spices, kitchen items, and other food products organized? If you constantly keep on losing things inside your cabinet, then it’s a good idea to install a pull-out rolling shelve. You can just pull it out and see what you have. Obviously, you’ll need someone handy to help you with that but it’s totally worth it. 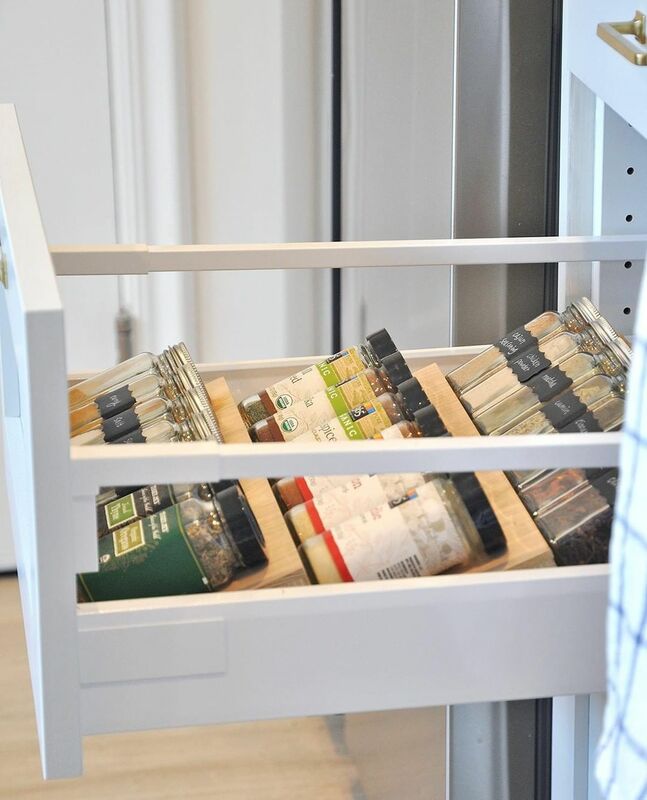 You can buy a pull-out shelve like this one here. All you need to do is install it. At the end of the day, that’s so much easier than making everything from scratch. 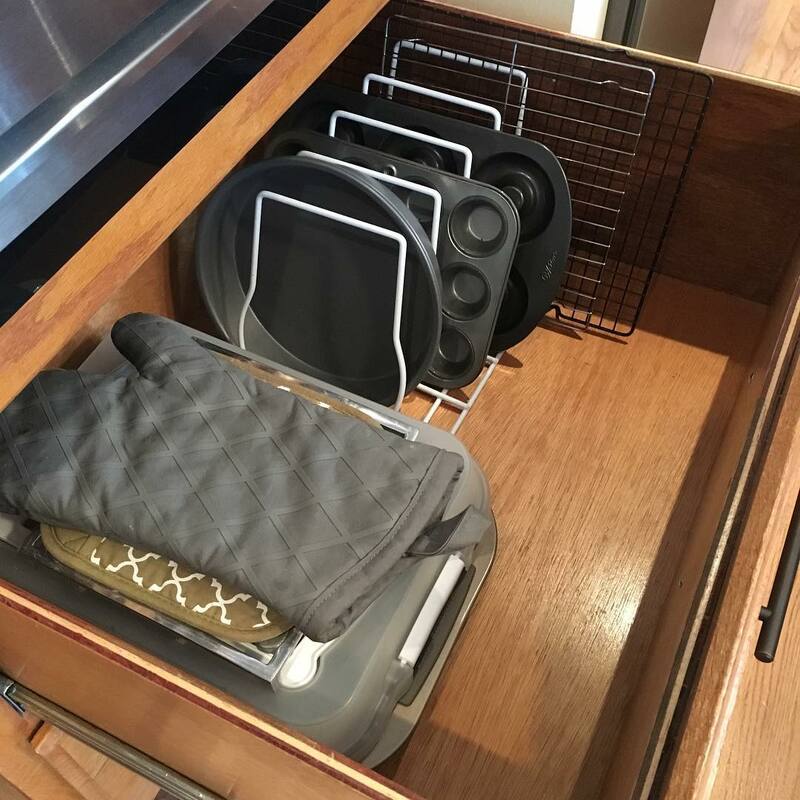 Whatever you can use for your desk organization, you can also use it for organizing your kitchen drawers. 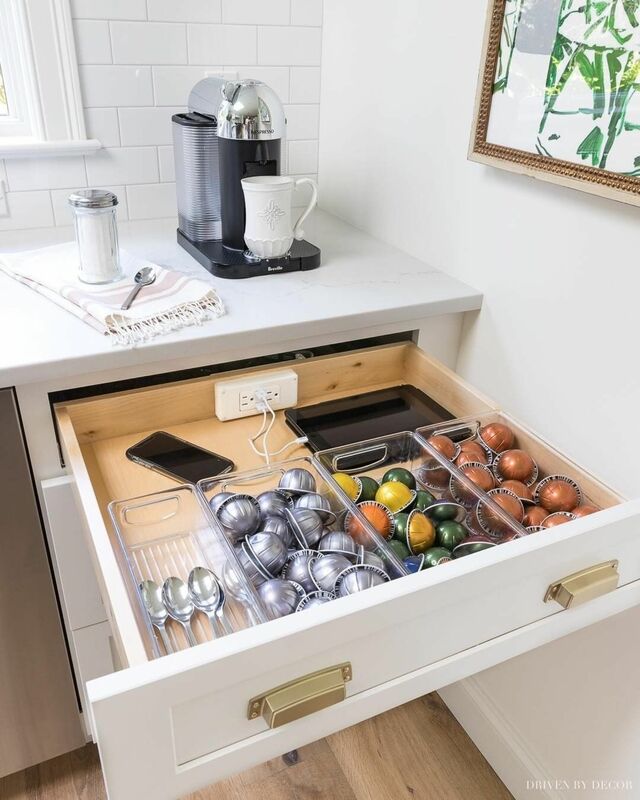 Sturdy plastic organizers, like these ones here, offer a good way to keep all your spoons, coffee capsules, and other items in place. Let’s be honest, the drawers usually have so much space that everything just keeps on sliding left and right. All the items end up mixing together. So, no matter how often you reorganize them, they come back to being messy once again. Use plastic organizers to solve this problem. 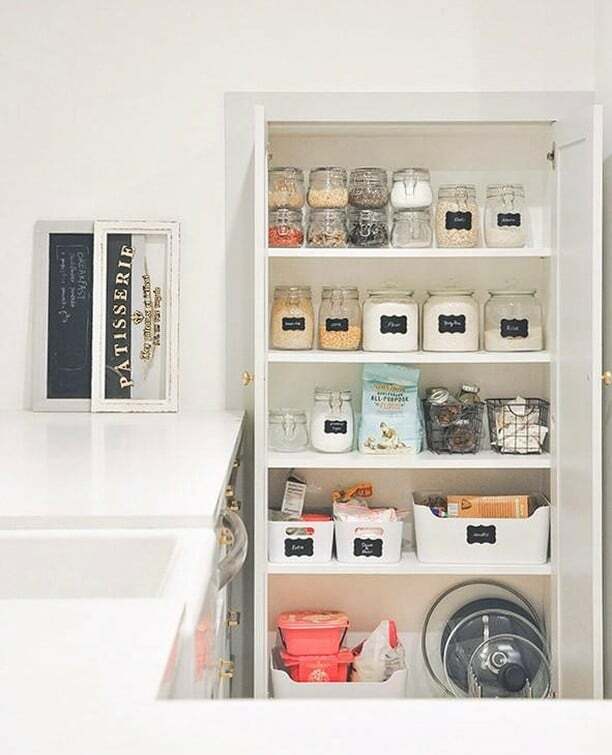 While labels do look lovely and give your cabinets a little bit of a stylish twist, they’re also very useful. Especially if you live with your family and others aren’t as organized as you are! 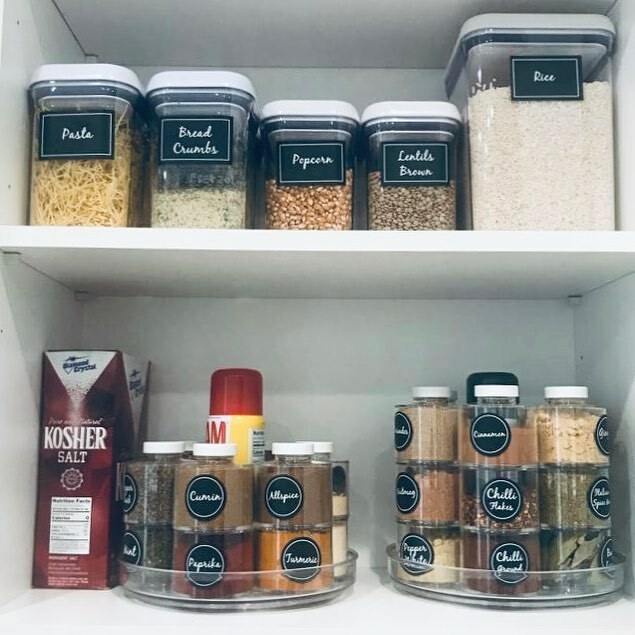 Labels offer a great way for everyone (even the kids) to put things back to where they belong and not make a mess each time, they’re using the kitchen. Most importantly, if you keep on getting the questions where’s what – labels will save you! Having labels will help everyone to figure out where to put what so that everyone can find the products. You can get waterproof, reusable and cheap chalkboard labels here. Whenever you’re cooking, you probably start digging through all the spices and mess up all the order you have. A turntable is a great solution. Store all your spices, sauces or other items. All you have to do is turn the tray and get the spice you need. Here is a good quality turntable you can try. It both helps you to save time and stay more organized. It’s a great solution for keeping your fridge organized too. 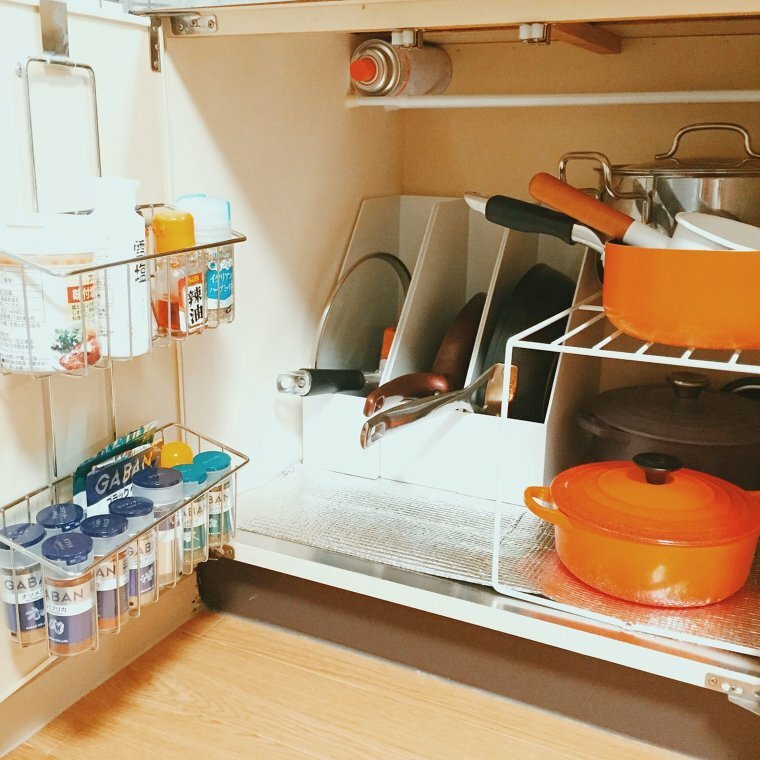 Not all cabinets are perfectly shaped for storing pans, pots and other bigger kitchen items. That’s where getting a wire basket can get handy. Throw your cutting board into it and pull it out whenever you need to cook! Easy, simple and will keep all your items organized. Overall, just make sure that the baskets are sturdy like these ones here. If you don’t have enough storage space, I always recommend using as much of the vertical space as you can. 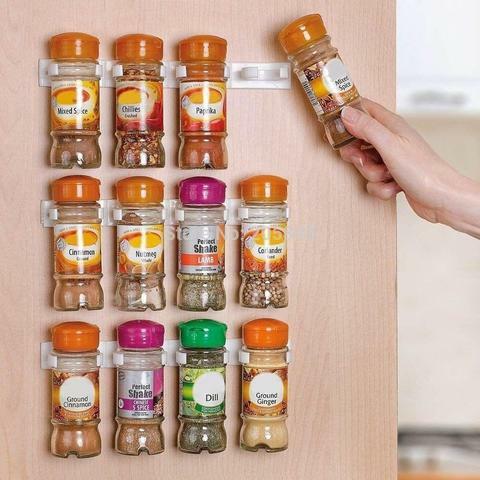 This spice organizer offers exactly that solution. You can safely place your spices in the drawers and even label them. So, next time you open your cabinet, all you need to do is read the label and open the drawer you need. Simple but an effective way to store your spices! If storage isn’t a problem and instead, you’re focusing on aesthetics, use some wood to make your own spice organizer. This is a great idea that you often see in shops. 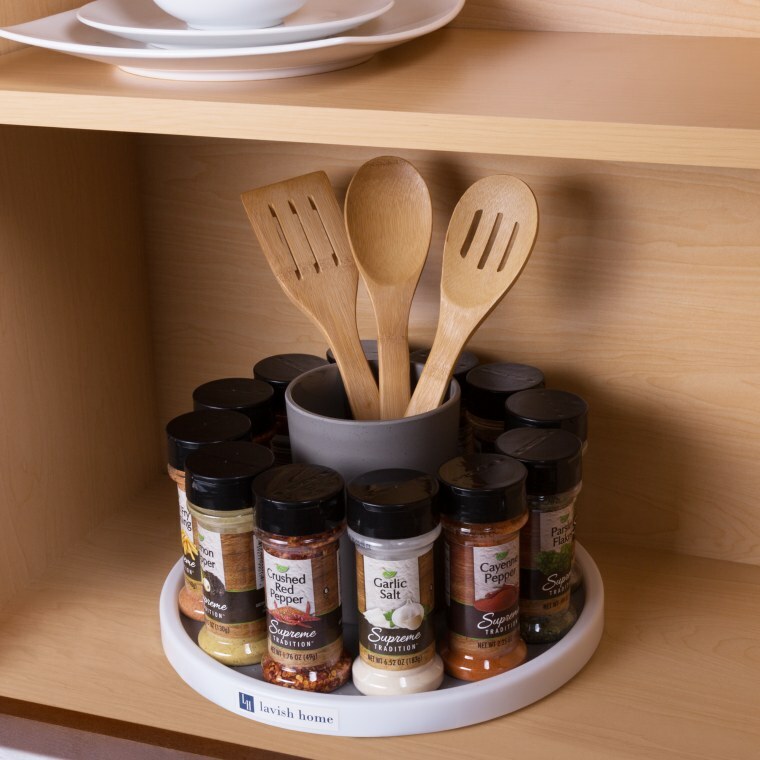 It offers a great way to showcase all the spices you have and yet keep them organized. 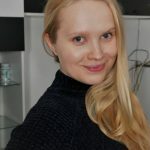 Here is a full post on how you can make one yourself. If your cabinets have some leftover space between the door and shelves, you can always attach small wire baskets and store lighter items. 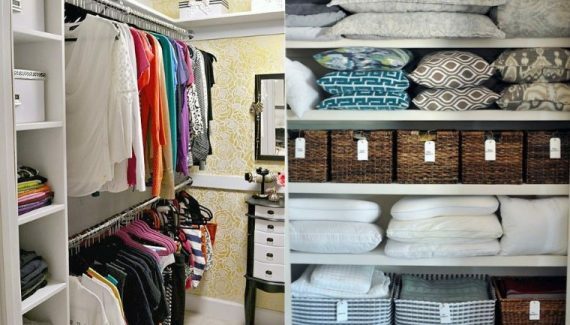 It’s one of those Dollar Store organization hacks that you probably one to try! The baskets are very cheap, they don’t need to look very special as long as they’re sturdy enough to hold your spices, herbs, etc. You might need a few nails to attach them to the cupboard. However, if you’re going to store something extra light, super glue might do the job. When kitchen cupboards get tight in space, go up! Use this stackable kitchen organizer to store the plates, cups and other crockery items. It’s a very simple yet practical solution. Also, make sure that the organizer isn’t too tall and try to store heavier items on lower shelves. That will help you to avoid accidents. 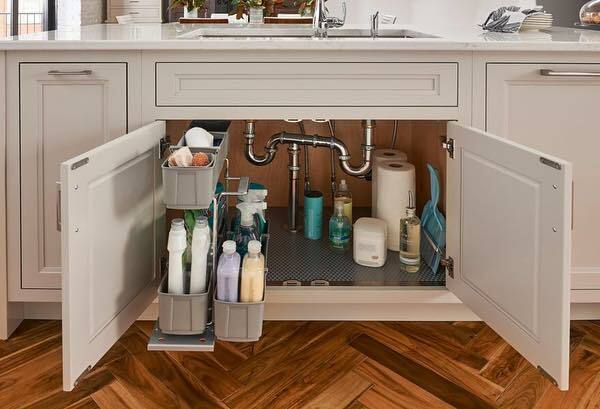 Don’t forget to use the space under the sink to store all the cleaning products. 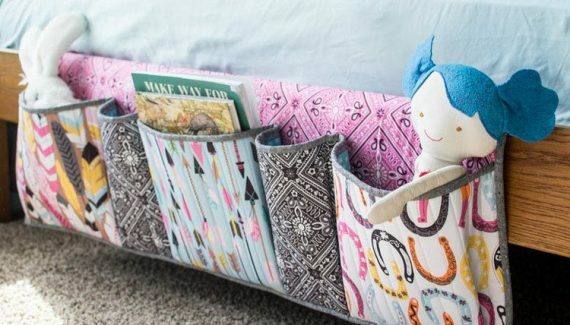 A pull-out organizer will make it even easier to keep it all under control. This pullout organizer seems to be of good quality. So, you can install it in your kitchen and have all the cleaning products within the reach! We all have these drawers – full of pans and pots and always messy. Well, if you invest 10 minutes of your day into organizing it, you won’t need to worry about it anymore. 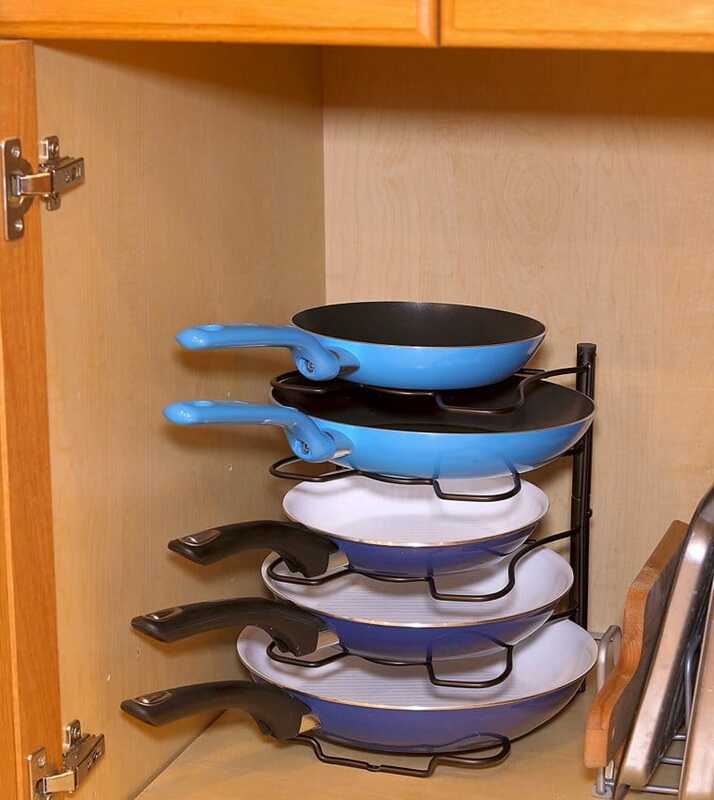 Get this adjustable rack pan organizer and keep your pans, cutting boards, and other large kitchen items all in one place. If you want to open your cupboard and feel good about it for once, buy a few baskets. White, plastic baskets with beautiful labels will help you to keep everything in one place and, most importantly, will look good. Whenever you need a new item, just take out the basket and find it. You’ll notice how much cleaner all the shelves are and how much time you’re going to be saving yourself. Try and show it to your friends! 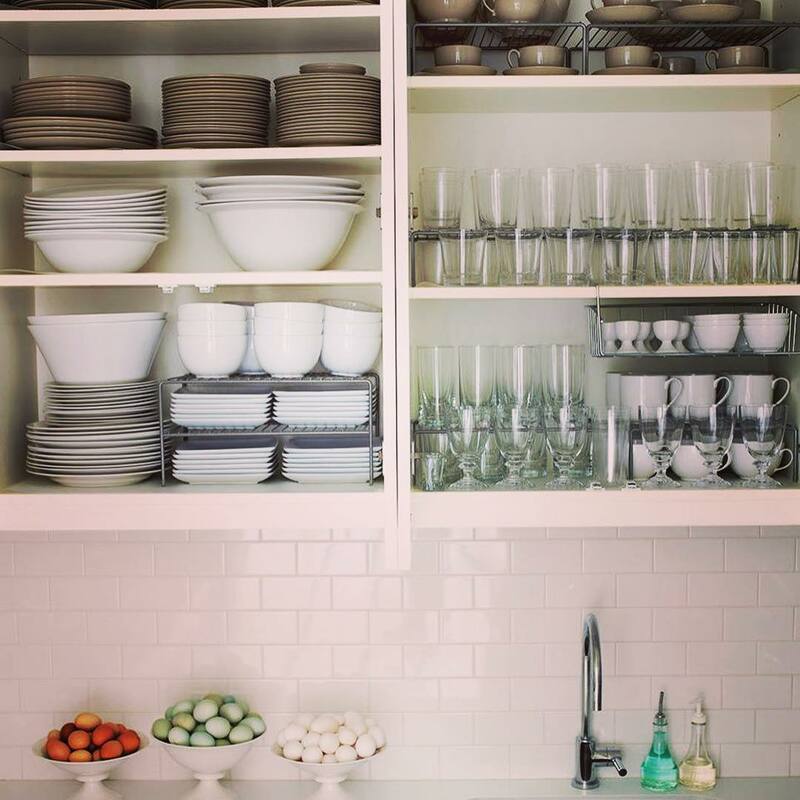 There is nothing more pleasant to the eye than an organized kitchen cabinet! 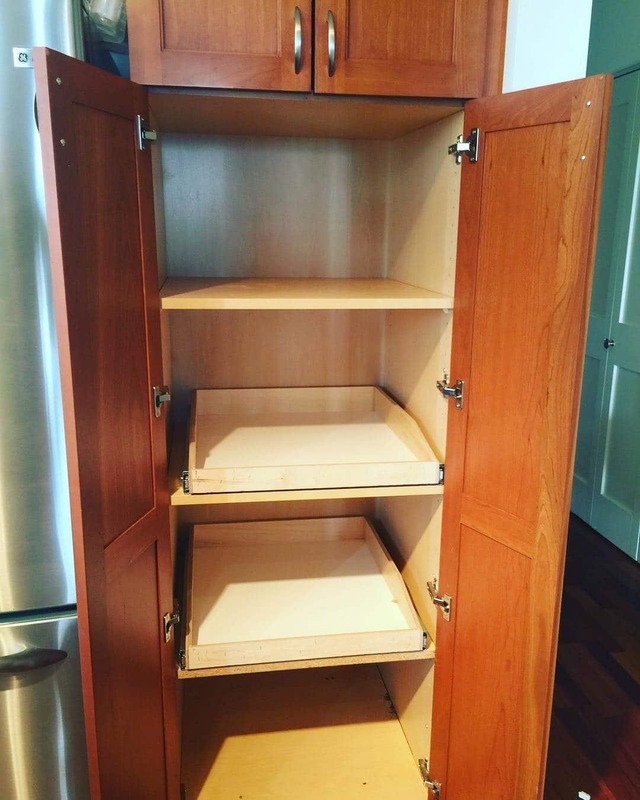 Some of your cupboards might have no shelves. Especially the low ones. Quickly fix it by buying a metal organizer rack. You can easily pile up all your pans, cutting boards, and even pots. Seriously a good way to use all the space that otherwise wouldn’t be used. 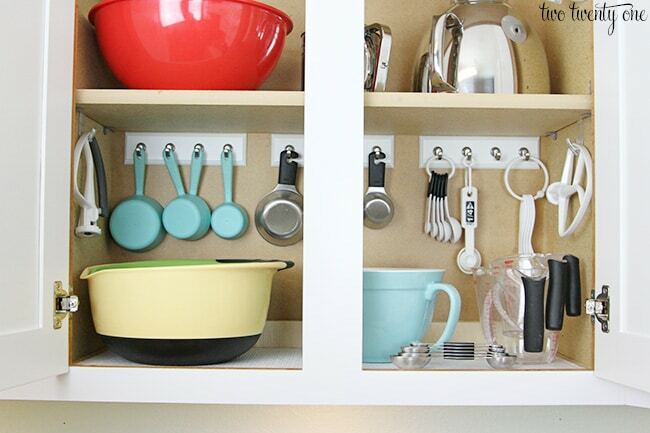 Install these key rails inside the cupboards and use them to hang measuring spoons, cups and other light essentials. The good thing about hanging them on the inside wall of the cabinet rather than the door is that you can avoid getting scared each time you open that cabinet. It can be loud, and things might fall! However, if you install the key rails on the back of the cupboard, you won’t have to deal with any of that. This little mug holder requires no skill when it comes to installing it. Just hook it up and hang your cups, spoons and everything else. Simple and cheap solution to your storage problems! You can get one here. These little cheap clips will help you to use the cabinet doors to store herbs and spices. Just make sure the jars aren’t heavy. Preferably, they should be plastic. 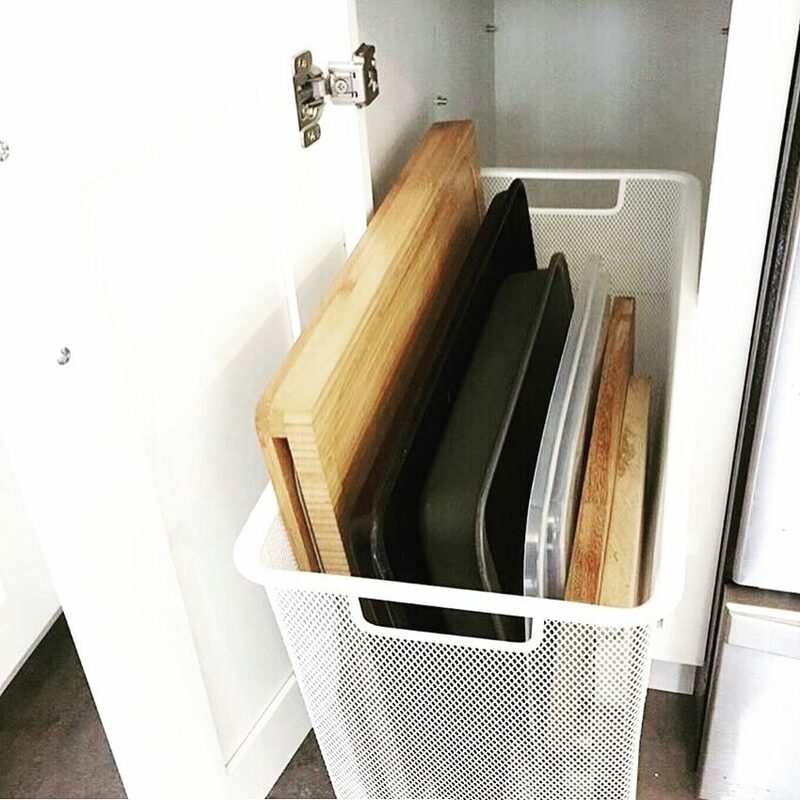 Document organizers can help you organize your kitchen too! Have some space under the sink? Line up all your organizers and use them to store pans and cutting boards. That’s a simple and cheap solution. 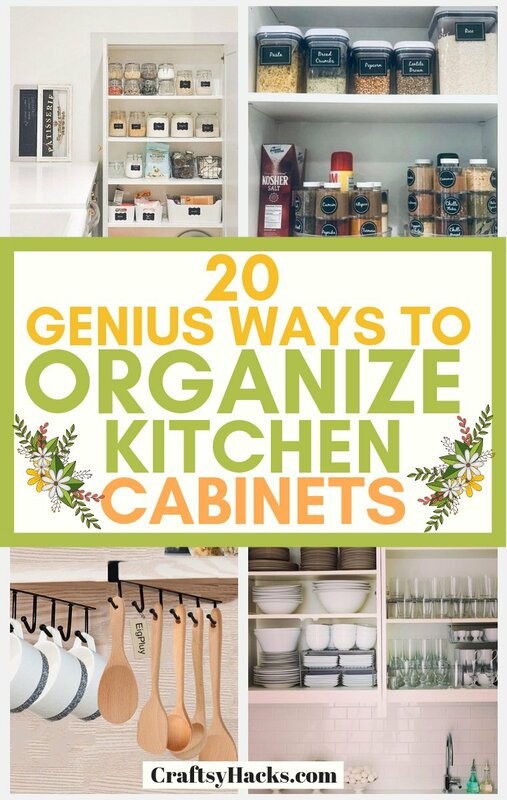 Let me know whether you’ve enjoyed these kitchen cabinet organizing ideas! Do you have any of your own? Share them in the comment section.